Looking to create powerful blog graphics or killer images for your website? This post can help you with that. It’s quite a long post, so here’s what’s included in case you want to jump straight to that section. It wasn’t actually all that long ago that the Internet was very text based, meaning you didn’t need to bother with powerful images all that much. Today’s web tells a different story though. It’s become an increasingly visual place and if you don’t take the time to create quality blog graphics that complement your text and draw in the reader’s eye, you’re far less likely to engage your audience – however good your content. And blog graphics become even more important when you consider social media. In fact, Buzzsumo found that articles hat included an image, once every 75-100 words, got double the number of social shares than articles with fewer images. So images are powerful, there’s little doubt about that. So, to save you time, I’ve put together a list of amazing tools to help you create professional looking blog graphics. I’ve included free and paid resources, so you can make a decision based upon your needs and budget. 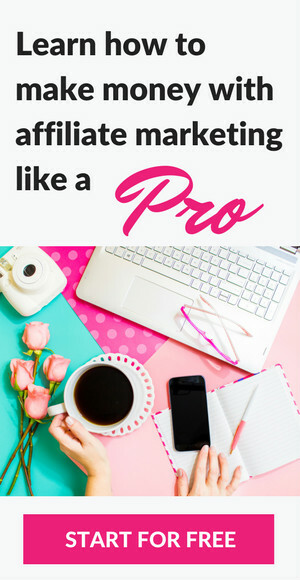 If you’re not a natural behind the lens, you’ll need to find quality blog graphics that don’t look like you snapped them at a wedding with a disposable camera. Free stock image sites can be an invaluable resource here, especially if you’re on a budget. You’ll need to sift through the images to find the best shots – but you’ll find that high quality sites like Unsplash offer some incredible creative shots for free. 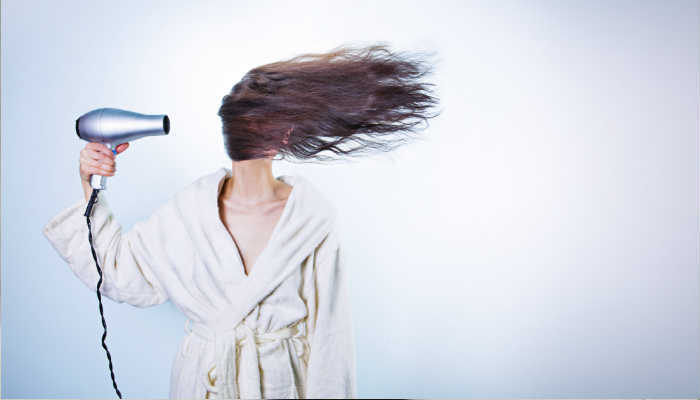 For quirkier images Gratisography (see hairdryer image above) is a popular resource and sites such as Pixabay and Pexels are handy for your more run of the mill blog graphics. Another great thing about free stock photo sites is that the photos are generally licensed under Creative Commons Zero. This essentially means you’re safe to use the images as you wish, at no cost (always check terms of individual sites though). Here are 10 sites I frequently use or recommend, which offer consistently high quality, high resolution images for free. Although usually not required, a photo credit is always appreciated. 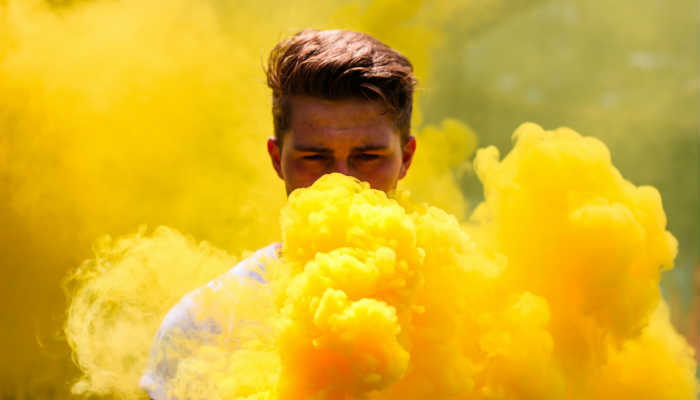 If budget isn’t an option or you simply want more choice, paid stock photo sites are a great way to stand out from the free stock photo crowd. You’ll get a lot more choice and also spend less time looking for that ‘perfect’ shot, as the quality is much higher. As you’d expect, Adobe offer some stunning stock photos. You can usually get 10 free images just for signing up to their Free Trial. One of the top stock photo sites around, Dreamstime boasts 61 million high quality stock images. Over 4 million quality images, with value that is hard to beat, especially if you’re a high volume user. iStock by Getty Images is one of the world’s leading stock marketplaces, offering millions of images and flexible pricing plans. So you’ve found the perfect set of blog graphics for your latest article. Now what? You may find that your images need cropping a bit to better suit your blog design or worse, the combined file size of your photos is big enough to crash a small server. This is where a decent image editor is a real life saver. The basics of image editing are easy to learn and most editors allow you to save your blog graphics as ‘web ready’. This means they’ll reduce the image file sizes to a minimum, so they don’t slow down your blog. The good news is that there are loads of free (and paid) image editing tools out there to help you resize, retouch or alter your photos or images, as well as add text or overlays. Photoshop is pretty much the ultimate in image editing tools. Used to be super pricey, but Adobe have introduced very affordable Creative Cloud subscription plans, which now makes it the go to tool for most professional bloggers and designers. There’s also a free trial, which is a great way to see if it’s for you. Adobe offer some great Beginner tutorials or just have a search on Youtube and you’ll almost certainly find a tutorial for what you’re trying to do. Simple to use ‘drag & drop’ editor for creating blog posts, social media profiles & ads. Free & paid plans. Whilst it won’t ever do what Photoshop can, this is a really handy & reliable free image editing tool. Powerful & free open source image editor (requires you to download it). According to easel.ly an infographic is 100x more likely to get read. People love infographics and you’ll see them generate huge share rates on places like Pinterest. But unless you’re a graphic designer, making a shareable, professional looking infographic from scratch can be a big old challenge. Use one of the infographic creation tools below, however, and voila! You’ll be creating a professional looking infographics in no time. A free plan with easel.ly or Canva Infographic will likely suffice if you just want an infographic here and there – but for more beautiful designs, plus increased templates and features, a paid plan will serve you better. Create stand out, beautiful infographics from over 600 professionally designed templates. 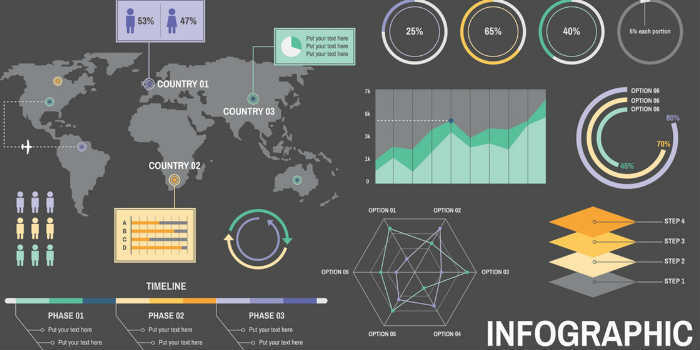 Infographic tool of choice for companies such as Forbes and The Guardian. Free and paid plans. If you like to keep things as simple as possible, Venngage shows you how to create infographics in 3 easy steps. Platform includes over 100 templates. Free & paid plans. One of the most popular free infographic creators. Pro version will get you more templates. Alternative free infographic creator from the ever popular Canva. Social Media Graphic Tools: Increase Your Shares! Tweets with images are 150% likely to get Retweets than text-only Tweets. These popular social media image creation tools can help you create share worthy social media content. Simple to use photo editing/graphic design software. Hugely popular for creating Pinterest graphics. Limited access for free but the highly affordable paid option offers you a great deal more. Great value choice. Limited free & full paid versions. Similar to Picmonkey. What it lacks in photo editing opportunities, it more than makes up for in pre-made templates for both web & social media designs. Free & paid versions. Also include app for an iPad. Create stunning social graphics, web stories & animated videos with design gurus Adobe. More pricey than Canva & Picmonkey, but still affordable. Free & paid options. If you want to create great looking social media images fast, give Stencil a go. Their simple to use image creation tool is ideal for social media marketers, bloggers and small businesses. Free & paid plans. Free online tool that turns quotes into attractive e-cards & images. Great for social media. App for adding text to images you want to share from your mobile phone. A more female orientated app for personalising & sharing photos. Useful app for sprucing up your photos with textures, filters & frames. Once upon a time animation was a secret wizardry only professional animators could conjure up. With a bit of practice though, it’s now possible for anyone to do it. Easily make promotional animated videos & presentations using premade characters, objects & effects, then export it to YouTube. Free version (videos show PowToon branding though) & paid plans. Create eye-catching animated videos on your mobile & share them on Facebook, Twitter & Instagram. Paid. If you don’t have a natural eye for colour or font combinations (urm, me!) 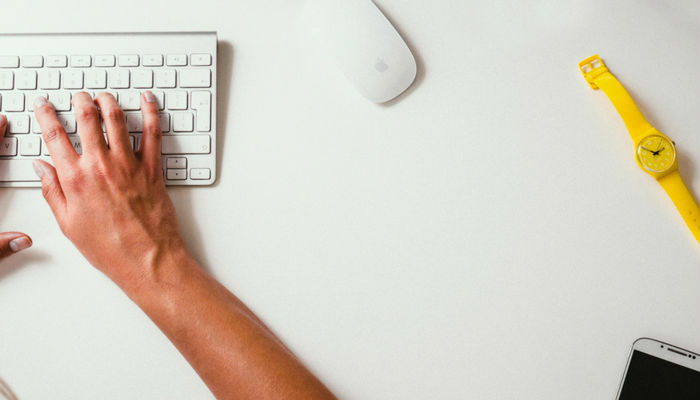 make the following tools your new best friends. Or at the very least, let them help you get your colours or fonts working harmoniously together. Type difference tool that visually contrasts the differences between two fonts. Helpful if you want to compare subtle differences between fonts. Free. Handy colour palette generator. Useful for finding colour schemes that work harmoniously together. Free. Upload an image & get a matching colour palette within seconds. Simple! Thinking of writing an e-book for your blog? Don’t let your penmanship down with a horrible e-cover! Easily creates 3D images for e-books, as well as email opt-ins & digital product promotions. 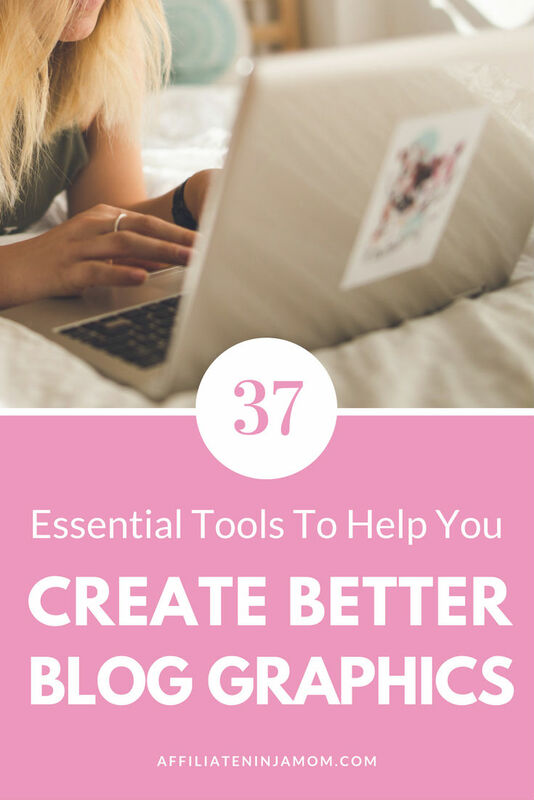 Choosing a few go to tools to help you create blog graphics that look professional and complement your content is a powerful way to add visual impact to your blog, or website, and engage your reader. Research suggests people now have less attention span than a goldfish online (we’re an impatient lot), so using appealing graphics can help ensure they stick around and actually read your content. Do you have any tips for creating engaging blog graphics you’d like to share? Drop me a comment below. Previous Post: « EasyAzon Review: Is It The Best Amazon WordPress Plugin? What a great helper you are. Your work is appreciated. This collection of sites will improve greatly the choices available for use. Infographics collection will also be a terrific help. They are so important. Guess I will get a chance to include them finally. How To Make Money As A Stay At Home Mom: 57 Real Ideas That Don’t Involve Survey Sites! 15 Feminine Free Stock Photo Sites: Your Guide To Girl Boss Images! EasyAzon Review: Is It The Best Amazon WordPress Plugin? Wealthy Affiliate Review: Best Affiliate Marketing Training For Beginners? Profit Accumulator Review 2018: How This Mum Made Thousands! Affiliate Ninja Mom Uses Affiliate Links. See Full Disclosure Here.